Take a break from the city and head to Manly Beach and The National Pass. You'll explore and learn at Australian National Maritime Museum and Norman Lindsay Gallery & Museum. Change things up with these side-trips from Sydney: Shelly Beach (in Manly) and Katoomba (Wentworth Falls, The Three Sisters, & more). Spend the 8th (Mon) exploring nature at Sydney Harbour National Park. There's still lots to do: hunt for treasures at Sydney Fish Market, don't miss a visit to Queen Victoria Building (QVB), get to know the fascinating history of The Rocks, and explore the world behind art at Brett Whiteley Studio. 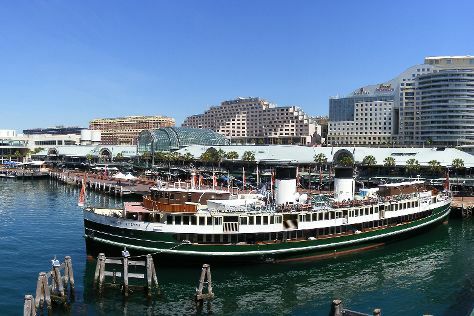 To see photos, reviews, other places to visit, and more tourist information, read our Sydney trip itinerary maker site . Kalamazoo, USA to Sydney is an approximately 29-hour flight. Traveling from Kalamazoo to Sydney, you'll lose 15 hours due to the time zone difference. Prepare for much warmer weather when traveling from Kalamazoo in March: high temperatures in Sydney hover around 79°F and lows are around 66°F. Cap off your sightseeing on the 9th (Tue) early enough to travel to Melbourne. For shopping fun, head to Melbourne Central or Collins St/Swanston St. Get in touch with nature at The Great Ocean Road and Melbourne Zoo. Explore the numerous day-trip ideas around Melbourne: Werribee Open Range Zoo (in Werribee) and Sovereign Hill (in Ballarat). 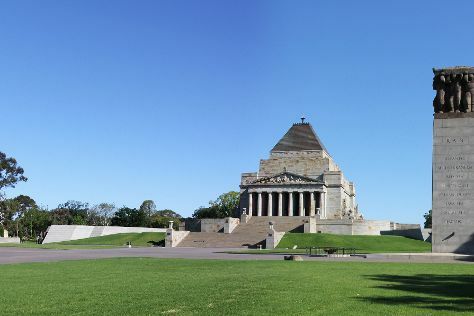 There's much more to do: brush up on your military savvy at Shrine of Remembrance, get a taste of the local shopping with The White Room Interiors, admire the masterpieces at National Gallery of Victoria, and contemplate the long history of Old Melbourne Gaol. You can fly from Sydney to Melbourne in 3.5 hours. Other options are to do a combination of flight and shuttle; or drive. Traveling from Sydney in April, expect Melbourne to be a bit cooler, temps between 68°F and 50°F. Wrap up your sightseeing on the 21st (Sun) to allow time to travel back home.